After weeks of listening to war-like threats from North Korea, the United States has embarked on a campaign to ensure Pyongyang is painfully aware of America’s military superiority and the nation’s willingness to defend the South from military attack. Washington has also recently decided to strengthen its missile-defense posture in the Pacific in response to Pyongyang’s continual threats to launch ballistic missile attacks against US targets in the region and targets as far away as the US mainland. 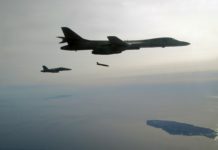 On 8 March and again on 26 March, the United States dispatched B-52 bombers from Andersen Air Force Base in Guam to overfly South Korean territory as part of the ongoing joint US-South Korean Foal Eagle military exercise. 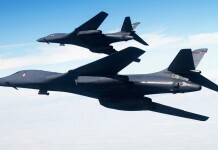 These flights were, according to US Department of Defense sources, routine flights intended to demonstrate America’s capability of maintaining a “continuous bomber presence” in the region. In a third demonstration of US airborne might, two F-22 Raptor stealth fighters were deployed to Osan Air Force Base in South Korea from their base of operations in Okinawa on 31 March. A US Forces Korea (USFK) announcement referred to this deployment as a routine mission in support of Foal Eagle and not a response to North Korean threats. The Pentagon’s decision to send only two Raptors to South Korea appears to be Washington’s attempt to cultivate a razor-thin balance between demonstrating America’s commitment to regional allies and limiting the potential for provoking a confrontation with Pyongyang. This deployment is the fourth time the US has deployed F-22 Raptors to South Korea and it appears these two aircraft are now being used primarily as a centerpiece in a static display. Sailing out of its berth in Hawaii on 23 March, the US Military Sealift Command’s Sea-based X-Band Radar vessel (SBX-1) embarked on what the Department of Defense (DoD) claims to be routine sea trials, but is believed to be enroute to the Pacific as additional radar defense to counter potential North Korean missile launches. The SBX-1’s active electronically scanned array (AESA) radar is mounted on a Russian-built fifth generation CS-50 twin-hulled semi-submersible drilling rig designed to function in the type of adverse conditions often encountered in ocean operations. A US land-based X-Band Radar system, positioned in northern Japan, has been operational since 2006 and a second installation is scheduled to be emplaced in central Japan soon, but is not likely to be fully functional for several more months to come. The land-based systems have been tasked with monitoring missile launches in the region, but lack the mobility of the SBX-1. The SBX-1 is part of the US Missile Defense Agency’s (MDA) Ground-based Midcourse Defense (GMD) project and forms a vital link in the Ballistic Missile Defense System (BMDS). The SBX-1 can locate, identify, and track suspicious missiles at a range of 4,700 kilometers while feeding targeting data to land-based and seaborne anti-missile batteries. Traveling at an average speed of nine knots, it takes approximately 16 days for the SBX-1 to reach the western Pacific. The USS Fitzgerald (DDG-62) is also believed to be prowling the waters of the region after completing a training mission as part of the Foal Eagle exercise. These three warships are Arleigh Burke-class destroyers fitted with the Aegis Ballistic Missile Defense System (ABMD) designed to shoot down enemy ballistic missiles using Lockheed Martin’s Aegis Weapon System and the Raytheon RIM-161 Standard Missile 3 (SM-3). On 3 April, in light of Pyongyang’s specific threats against Guam and Hawaii, the Pentagon also announced plans to deploy a Terminal High-Altitude Area Defense System (THAAD) ballistic missile defense battery to Guam within the next few weeks. The Pentagon said this move is a precautionary measure intended to reinforce US defense capabilities in the region. The THAAD system is a land-based ballistic missile defense system featuring an integrated fire control unit, a truck-mounted launcher, an enhanced AN/TPY-2 tracking radar, and a healthy supply of interceptor missiles. 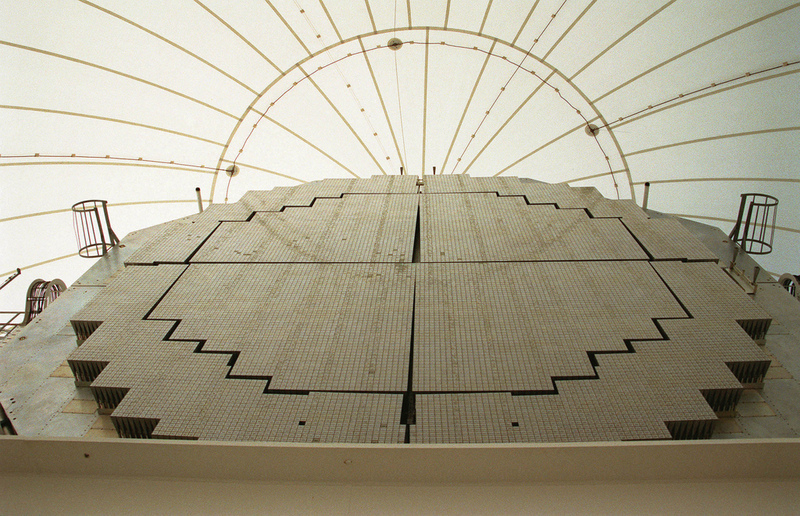 THAAD batteries are designed to detect, track, and intercept potentially hostile missiles. The island of Guam is a key US territory in the Pacific located approximately 3,380 kilometers southeast of the Korean Peninsula. 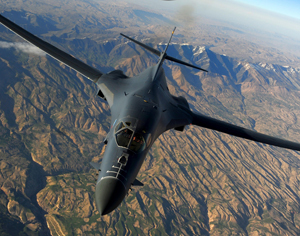 It is home to more than 10,000 US military personnel, civilians, and military dependents. 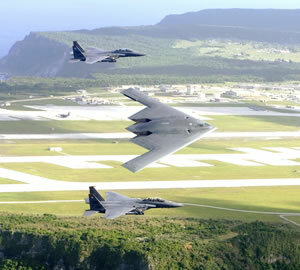 Naval Base Guam and Andersen Air Force Base provide extensive facilities in support of US Navy submarines, US Coast Guard surface vessels, and forward deployed USAF strategic bombers. Shortly after the Pentagon announced the deployment of the THAAD battery to Guam, the Korean People’s Army (KPA) announced that “final approval” had been received authorizing Army commands to initiate a nuclear attack against the United States. North Korea has moved Musudan (BM25) ballistic missiles to a launch site at the east coast, from where it could launch such missiles on a test flight that could fly over Japan. On 5 April, South Korea’s Yonhap News Service filed a story quoting an unnamed South Korean official as saying Pyongyang had redeployed two intermediate-range missiles, loaded aboard mobile launchers, to the east coast of the Peninsula. 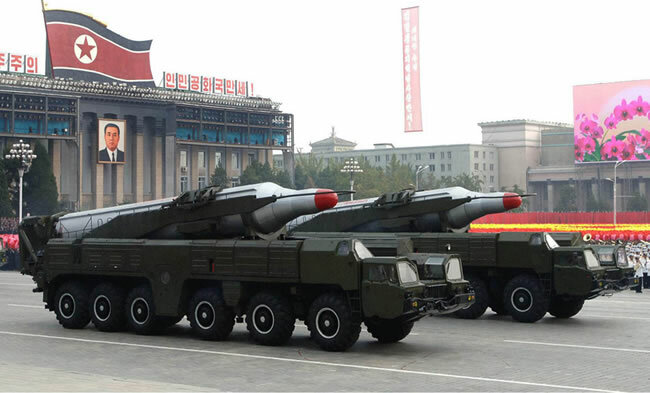 The missiles are believed to be BM25 Musudan mid-range missiles with an estimated range of 3,000 to 4,000 kilometers. These missiles bring Japan and possibly Guam within range of an attack. Many analysts speculate that the missiles are being positioned for a test launch, but no announcements have been received from Pyongyang explaining the purpose of the redeployment. Some sources indicated such test could take place by April 14. Anticipating the upcoming test the US is set to deploy a Global Hawk unmanned spy plane in Japan to boost surveillance capabilities over North korea. The Global Hawk will be stationed at the US airbase in Misawa, in northern Japan. This will be the first ever deployment of the aircraft in the country, the Sankei Shimbun reported, quoting government sources. Two years ago Global hawk drones were assigned surveillance missions over japan, 48 hours after earthquake and tsunami devastated Japan’s east coast. On that mission the drones flew from Guam, maintaining continuous coverage of the Japanese coastline for 21 days, spending 300 hours on-station and 500 hours in the air including transit time to Japan. 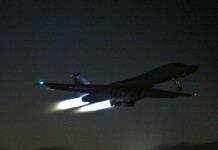 The US military informed Japan last month about plans to deploy the plane between June and September but may bring the date forward, it said, following reports about North Korea’s preparations for missile launches. 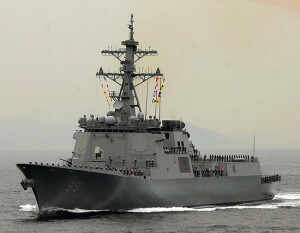 Seoul, in a precautionary move, has dispatched two Aegis destroyers to monitor any missile launch that may be forthcoming. The 7,600-ton warships are outfitted with SPY-1 radar giving them the capability to track multiple airborne targets at a distance of up to 1,000 kilometers. One ship has been posted to the east of the Peninsula and one to the west. Unfortunately, the public display of all this firepower and warfighting capability appears to have failed to intimidate Pyongyang. On 5 April North Korea began notifying foreign diplomatic missions that the regime could no longer guarantee their safety and advised them to remove their personnel. The following day, Pyongyang announced that foreign missions in the North had a deadline of 10 April to evacuate. 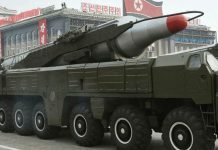 While most experts believe the North does not possess the military might required to carry-out many of its threats, the fear that Pyongyang will initiate local attacks aimed at South Korea is shared by many and would be in keeping with the North’s historical pattern of armed intervention. Some experts have noted that Pyongyang has engaged in some form of military provocation following every South Korean presidential inauguration to date. Some sources are making much of the possibility the North may initiate some provocation to commemorate the birthday of the North’s founder, Kim Il-sung, on 15 April or some action might be scheduled to mark the founding of the KPA on 25 April. Given the illogical rhetoric emanating from Pyongyang, just about anything seems possible.